Fowey Festival is just around the corner, and this year’s programme is full of inspiring workshops, presentations and entertainment. We’ve chosen a few highlights to give you a flavour of what this unique event has to offer. 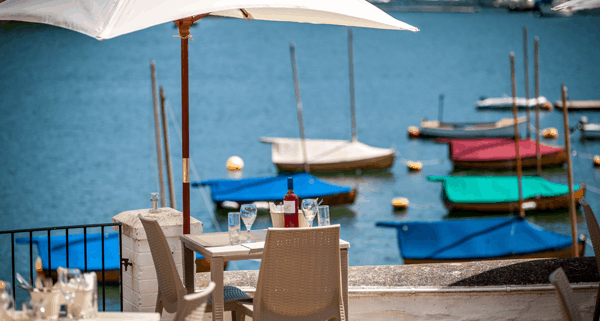 Don’t forget, we’re ideally located just a stones throw away from all the action, so after soaking up plenty of culture, join us for a glass of bubbly and delicious lunch or dinner on our waterside terrace. To book a room or reserve a table with us, call 01726 833302. Justine Picardie, Editor-in-Chief of Harper’s Bazaar magazine, will be delivering this year’s du Maurier lecture which includes a two course luncheon and drinks reception at Fowey Hall. Author of five novels including ‘Daphne,’ Picardie will be discussing the creative links between Du Maurier and other writers, designers and filmmakers. 10 May, 2014, 12:30 pm – 3:00 pm, Fowey Hall Hotel. Renowned crime fiction author Ruth Rendell will be talking to Sunday Times Chief Fiction Reviewer, Peter Kemp about her life as a successful writer. Rendell, who also writes under her pseudonym Barbara Vine, has penned over 50 novels and created one of the most famous characters to emerge from the murder mystery genre, Chief Inspector Wexford. 16 May, 2014, 6:00 pm – 7:00 pm, St Fimbarrus Church, Fowey. If you’re a budding writer, get the insider’s track on the publishing industry at this year’s literary ’Q&A’ session. Hosted by a forum of experts including Book Club founders Richard Madeley and Judy Finnegan, you can put your own questions to the panel and find out what it takes to pen a best seller. 11 May, 4:00 pm – 5:30 pm, Fowey Hall Hotel. Join pianist Jonathan Delbridge for an evening of classical music as he performs a selection of well known classical works amongst his own musical improvisations. Jonathan will be regaling his audience on Fimbarrus church’s piano and a three-manual organ. 14 May, 2014, 8:00 pm – 10:00 pm, St Fimbarrus Parish Church, Fowey. Singer Tina Fay will be leading a jazz evening to round off the week, accompanied by award-winning pianist Craig Milverton. Expect a repertoire of modern popular songs and Latin American material. 17 May, 2014, 8:00 pm – 10:00 pm, St Fimbarrus Parish Church, Fowey. Breathe in spectacular views of the estuary as you set sail from Fowey Quay to the riverside village of Lerryn. You’ll hear about Wind in the Willows creator Kenneth Grahame, who enjoyed holidays to Fowey. This is also where he married his wife Elspeth Thompson in 1897. There will be plenty of time to indulge in a Cornish cream tea and to enjoy a woodland walk before making your way back to Fowey. 11 – 15 May, 2014, Town Quay, Fowey.